Hey Guys, you’ve totally heard about Steemit, right? Well, if you haven’t, Steemit is doing great things right now in the blogging and social media space. So here’s my Steemit for Dummies guide, to give you a head start on your Steemit Journey. Imagine writing something, and not only getting instant recognition for your work but also a monetary reward for your efforts. I know right, so have a read of this Steemit for Dummies guide to help you start earning money on Steemit. Steemit claims to be a social media platform although I like to think of it as a cross between Reddit and Medium in 20/80 ratio. You see while Steemit has the same community feel as Reddit, most posts are structured more like the Medium blogging platform. And similarly to Medium, you can get paid for the content you write. However, there’s one major difference between Medium and Steemit and that is people don’t pay you with their money on Steemit and there is no paywall to read your content. Steemit is based on a digital currency called STEEM. You’ve probably heard about digital currencies like Bitcoin in the news because it’s blowing up right now. 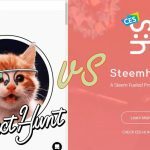 Well STEEM is based on the same blockchain technology. And although the value of 1 STEEM has nowhere near the value of 1 Bitcoin it has value none the less. Now when people upvote your work on Steemit, you are assigned a small portion of the new STEEM that is created every 3 seconds. And because this STEEM has a monetary value you actually earn money for simply being recognized by your audience, this is called the author reward. But best of all the people that actually vote for quality content also receive a small reward too, this is called a curator reward. How do you join Steemit? Then you will be asked to choose a username and supply a phone number. Now do be worried because the phone number is only required to test that you’re a real person and you’ll be sent a confirmation number to prove you own that number. But that’s pretty standard procedure these days. Pro Tip: Choose a decent username as it’ll be with you for a long, long time and you can’t change it later. Now check your email to make sure you’re in the processing queue. Due to the popularity of Steemit, it may take between 1-7 days to get your account created, so don’t panic and use the time to learn more about Steemit. When the account creation process is completed you’ll get an official invite to the platform and this is where you need to proceed carefully. Why are my Steemit Passwords so Important? When you complete the sign-up process you will be presented with a number of IMPORTANT PASSWORDS. These passwords are the keys to your account so do as instructed and take a screen snap and print it out or better still use a keysafe. You can get a free digital password keysafe here and it makes it easier to store a lot of long passwords while only having to only remember one to get into the safe. Pro tip: Once you’ve added passwords to a keysafe and saved the file, be sure to back it up on a USB drive for extra security. Because if you lose the keys (passwords) to your Steemit account, you will not be able to open it . EVER AGAIN! Just one more time for the record, save your password(s) before proceeding. How to get started in Steemit? First login, using your account password then head over to the trending tab to discover the popular articles that are ‘trending’ at the moment. You can select or search for a topic tag to filter into content you want to read. The ‘New’ tab will then show you new articles, in that category and the ‘Hot’ tab will show you articles that are trending quickly. I’d suggest taking the time to read a few articles to get the feel on what’s valued in the community before getting started. And while you’re there don’t forget to upvote the articles you like and you might have just earned your first curator reward. And when you feel ready and have the Steemit vibe, go ahead and click that ‘Post’ button. After you click the ‘Post’ button you’ll be taken to the editor screen but being a Noob you’ll probably want to ensure you click the ‘Editor’ button just to the right side. This ‘Editor’ feature opens up a formatting interface you can use to make your posts prettier. And if you’ve used WordPress before you’ll already be familiar with some of the buttons. Pro Tip: Make your post visually appealing and people will be more inclined to give you their vote of confidence. And don’t forget to add at least one picture to the article because this will appear as the thumbnail for your summary in the search results. NB: If you add more than one picture it’s always the first one that gets chosen for the thumbnail, so make that your best one. to ensure my title is catchy enough. Here’s another article I wrote teaching you how to create awesome headlines. Now, it’s customary to create an introductory article about yourself, so people in the community can get a better feel for who you are. And when you’re ready to share a little more about yourself just add the Tag ‘introduceyourself’ and people will find you. Pro Tip: Click ‘upvote post’ to ensure you gain the maximum rewards from your article. 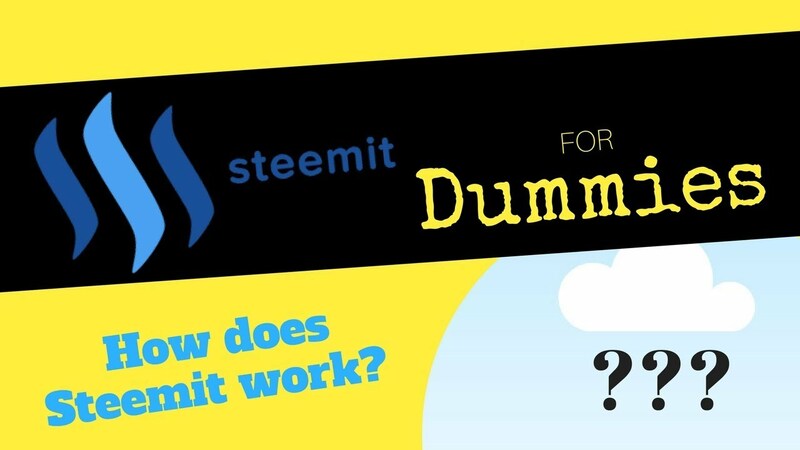 Or you can just watch the Steemit for Dummies video for more information. If you continue to upvote and comment you’ll start to see money trickling into your wallet depending on the age of the articles you engage with. 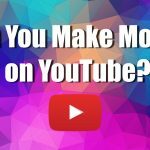 However, if you are a content creator, don’t expect to get paid until after the post is 7 days old as this is when the payouts are calculated. So this means you’ve got 7 days to promote your content before the payment window is closed. Most Steemians (that’s you) leave their money in Steemit to improve future earnings, but if you need to take the money out immediately, here’s a guide on what your options are. There is so much to learn about Steemit, so head on down that rabbit hole and don’t be too concerned with the monetary rewards as yet. And here a quick summary of your profile page. It can be a little complicated at first and as this is the Steemit for Dummies guide I suspect you’re overwhelmed already. But when you’re ready, head on over to this valuable Steemit resource page to learn a little more about Steemit And a quick shoutout to ‘InquiringTimes’ for putting this together. And as a noob on the platform consider joining the minnow support project as they reward members with upvotes, just to help you get started. It’s a great community, and that’s where a spend a lot of my time, so come an say hello. In Steemit and Discord, I’m known as just2random. Other than that, just start writing and publishing. The Steemit community is great and people are more than willing to answer your questions. They might even write an article that goes deep into the subject for you, just so they can earn a few extra STEEM along the way. If you have questions please be sure to leave a comment below and I’ll do my best to point you in the right direction.